Årg. 8 Nr. 1 (2014): "Public Islam" and the Nordic Welfare State: Changing Realities? 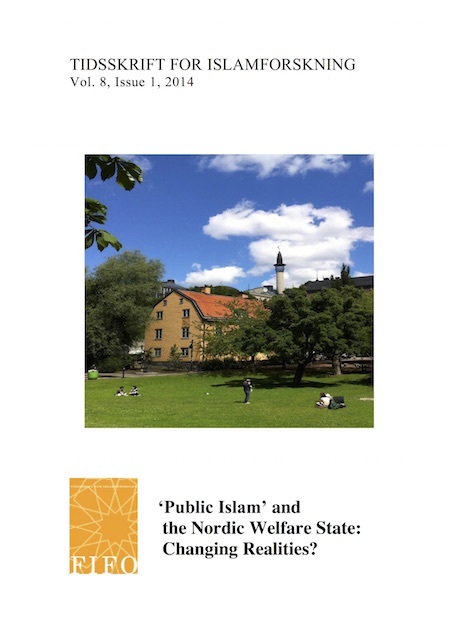 Introduction: ‘Public Islam’ and the Nordic Welfare State: Changing Realities? The Discourse of Multiculturalism: An Obstacle to Cultural Change? Islamic Religious Education in State Funded Muslim Schools in Sweden: A Sign of Secularization or Not?